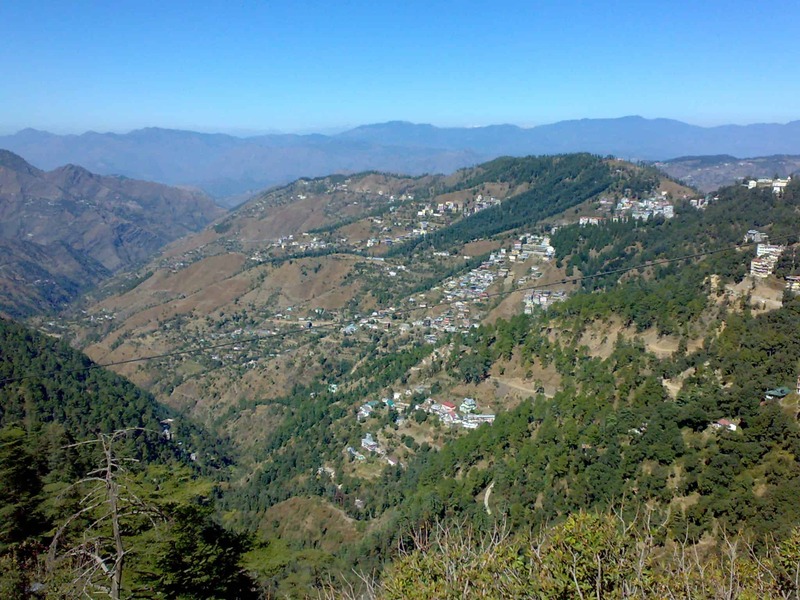 You are at:Home»Travel Themes»Family»How to Plan a trip to Shimla and Manali? Every year thousands of tourists plan a trip to Shimla and Manali with their families and loved ones. I too get loads of questions regarding planning the trip to Shimla and Manali on this blog. No wonder why as both Shimla being known as “Queen of Hills” and Manali popularly-known as a “Honeymoon Destination“, are the most popular tourist destinations in Himachal Pradesh. Personally speaking, Shimla now being converted to nothing but a concrete jungle still offer around a few peaceful places. Manali, on the other hand, has much more natural offerings. Today, I am going to make the lives of tourists looking forward to making a plan for a trip to Shimla and Manali easier. In this article today, I will be sharing the most common itinerary for a trip to Shimla and Manali. I am going to suggest the plan in such a way that you spend more time in Manali than in/around Shimla. 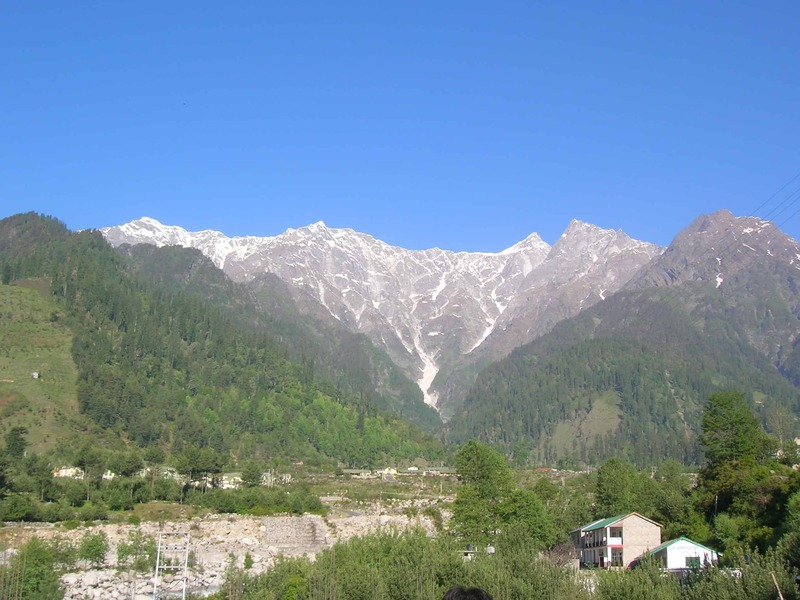 Manali has lot more to offer than Shimla so it is better to spend more time in Manali. The river element in Manali just adds more charm to the missing beauty of Shimla. While Shimla may appeal more to people close to architecture, Manali is more to people who are close to nature. 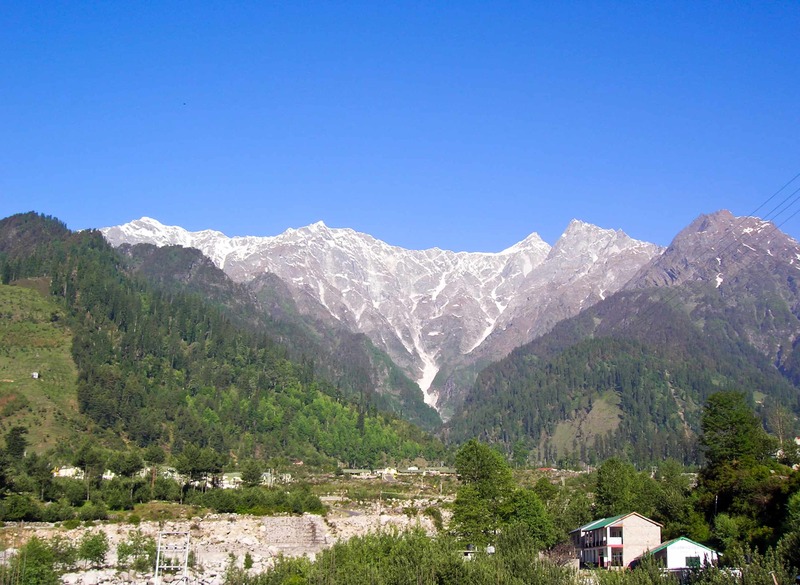 In the past, I did write a detailed travel guide to Manali which can be referenced for more details, in case required. Both Shimla and Manali are well connected to Delhi / Chandigarh by Volvo buses. I always prefer taking an HPTDC or HRTC Volvo which can be booked by their official websites. It is a fair warning that you should avoid private Volvos when both HRTC and HPTDC have a very good fleet on offer. Otherwise, for reaching Shimla, you can also enjoy the toy train ride from Kalka to Shimla. Given below is an 8 day plan for a trip to Shimla and Manali which you can follow and have good time with your family. The trip is balanced and comfortable for people of all ages including kids and adults. Hence, your family will enjoy the balance of both Shimla and Manali while you collect those memories to be cherished forever. Feel free to shoot any questions or doubts you may have in the comments section of the article below. Day 1 | Reach Shimla from by overnight volvo from previous night or by toy train. Check-in and rest at hotel. In the second half explore local Shimla including Shimla Ridge, Mall Road, Lakkar Bazaar, Back to Hotel By Evening. You can even plan to stay at Mashobra. Day 2 | Around Shimla, a relaxing day. Jakhoo Temple, State Museum, Mall Road, Ridge etc. as you like or may be you can visit Kufri in the first half of the day and all this in the second half of the day. Day 5 | Manali Local sightseeing which includes Hadimba Temple, Manu Temple, Mall Road, Local Monastery, Vashisth Hot Water Springs (never found it interesting) etc. Day 6 | Manali – Snow Point either at Solang Valley or Marhi/Gulaba on the way to Rohtang Pass. Enjoy in snow and come back to Manali. 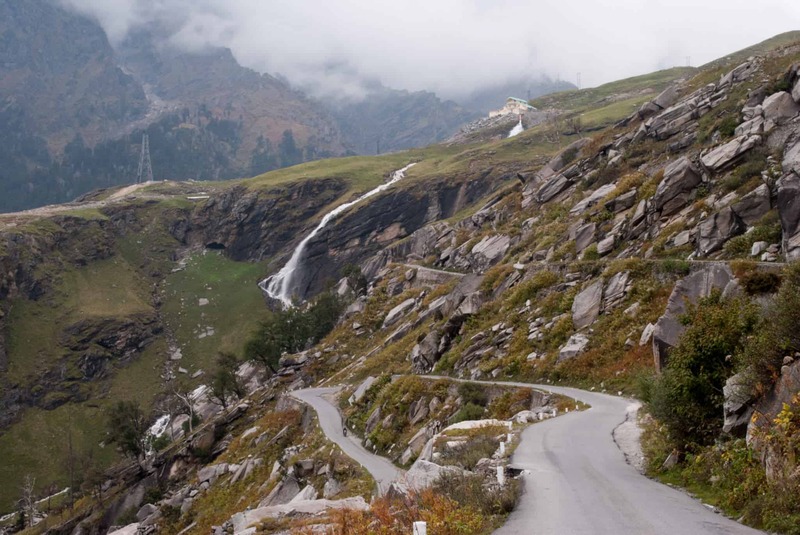 In summers, you can go up to Rohtang Pass as well. Day 8 | Naggar Castle – Manali – Delhi. Checkout from Naggar Castle by noon. Since the Volvo to Delhi will be around 5.30 PM types, so either you can spend a sometime hanging around Naggar only and after lunch leave for Manali or you have the option to come back to Manali and hang around on Mall road and finally take the return bus. Or, you can also coordinate with bus HPTDC guys so that the bus pick you from the nearest pickup point for Naggar on the way to Delhi. Naggar Castle guys will arrange the taxi for the drop there. ** if you have time then try, Manali Sanctuary can also be covered as it is just about 2-3 KMs from Manali town and there is trail which starts from Manali Log Huts or Dhungri temple that leads you into the woods. Accomodation in Shimla and Manali? Johnson’s,located near Circuit House is very famous for it’s cuisines. A meal here is a must for us whenever we go to Manali. Chopsticks, located at Mall road, has a great variety of Chinese dishes topped with great taste. Grozy, located just at the start of Mall road shops is also quite good in food quality. In fact on of the trip we just had our meal on this restaurant only. IL Forno is by far the best place for Pizzas in Manali. If you love Pizzas then do not forget to check this awesome place. Sher-e-Punjab or Shan – e -Punjab (original one) is also a good food joint. Winter trip to Shimla and Manali? Do take heavy woolens with you especially a heavy woolen jacket. Do take woolen long socks. Airtight shoes would be perfect to help you avoid freezing feet. Do not exert yourself too much and try to keep your body hydrated on the day when visiting snow points. Take at least one complete day rest in Manali before venturing further heights. i.e. snow points in Solang or Gulaba. DO NOT go to snow points on the very first day you reach Manali region. In Winters (except xmas – new year week) HPTDC runs about 30% off season discounts [also valid for Naggar Castle], if you like to stay in their hotels. All other private hotels can offer as much as 40-50%. Keep in mind that X-mas and New Year week is the costliest week of the year in Manali and Shimla. You mention using bus to travel to Shimla from Delhi. Are there no flights to Shimla? I remember reading that there is an airport at Jubbarhati or something. Manali happens to be one of the most loved hill stations of the entire range of the Himalayas in the state of Himachal Pradesh. I m planin to go shimla and manali from delhi in the ending week of december want to kno the best time to visit these places since i would like to see snow. And if i book this trip 4 month in advance can i get some discount. I m the family of 4 . Rizwan, the majority of the times by end of December it snows around Manali and Shimla but for snow mid of January of the best time. I will suggest if possible keep the plan flexible and as soon as it snows or has predictions of snow, go for it. Even I am planning for a holiday in manali in December end for 5 days. we are a family of 4. Due to children school restriants, it would not be possible to postpone it to January. We want to see snow. We are reaching manali on 20.12.2017 & leaving on 26.12.2017 then proceeding to Narkhanda on 26.12.2017 & leaving from there on 28.12.2017. Please advise the possibility of Snow and what kind of clothing would be required to be carried. Also suggest a Taxi owner who can be with us 8 days. Chandigarh to Chandigarh. Hope the travel would not be a nightmare during that time. Thanks. You can get connected directly to some drivers in Himachal or Spiti Valley or Kinnaur Valley at the link: List of Taxi Drivers for Spiti Valley & Kinnaur Valley. These drivers can come and pick you up from Manali / Shimla / Delhi / Chandigarh too, of course with a price of the pickup as well. Otherwise, taxis, in general, are also available on the spot from Shimla or Manali from respective taxi stands. These drivers can help you with finding local stay options too. You should be able to see snow stock around the snow points of Gulaba/Marhi or Solang Valley whichever is open. So, if snow is the priority then there are no issues but for snowfall best bet is that you keep the plan flexible and keep a check on weather updates on the day you plan to visit. The weather websites of Manali region can be helpful for you in tracking the weather updates of Manali and around. If it says raining in Manali, or rains/snow at Kothi or snows at Rohtang Pass then expect snowfall at nearby snow points of Solang and Marhi/Gulaba etc. 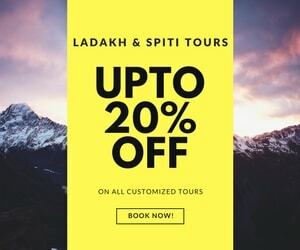 If you are looking for competitive and customized tour and packages, you can connect with [email protected] as most of the readers in the past couple of years have had very good feedback about them and especially their transparent policies along with being there with you all the time in need. So, we trust them the most. You can refer my name or DoW to Gaurav, the guy who runs it. He knows us very well and should be able to offer some special rates being a DoW Member. You can just refer him the DoW Community Member Username in such a case or screenshot of this reply here. I really liked the way you wrote the articles and the responses. Great job. I am keen for your guidance for a taxi trip of a family of 4 adults from 21st May till about 28/29 May. 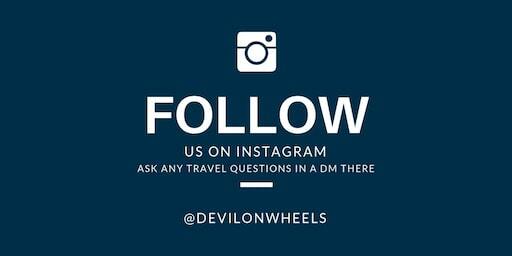 I plan to cover Delhi >> Chandigarh(1N) and then Manali and Shimla for about 4N. Most importantly I am keen to explore nature as much as the snow and little of concrete. I am also keen to go budget with tent stays where possible rather than hotels. Any suggestions will greatly be appreciated. I am planning for Manali and Shimla along with my wife. It is her first trip to Manali. I arrive Manali on 23rd April 2017 and leaving from Shimla on 29th April. Can you give me a plan. Is it possible for me to take a bike in manali and drop it in Shimla. Can I go Kalpa..? Please suggest me. I will suggest that you follow the plan suggested in the article. Kalpa will be too far to travel in these days after covering Manali and Shimla. So, keep Kinnaur Valley for some other time of the year. If I skip Manali, How can Is it possible for Shimla to Kaza to Shimla in 7 Days. Day 2 : Manali / Solang – Chandratal – Kaza. Leave early morning from Manali to see Chandratal too. Confirming I am going to visit Manali and Shimla as per you plan here. I am about to visit Kasol for a day and in Shimla planned to go for Chail and Hatu peak. I am looking for Bike rental in manali and shimla. Do you have any contacts ? In Manali you will get plenty of them. Best advise is to reach there, inspect the bike and then travel on it to ensure there are no issues. Here what’s my plan for my trip. Give me any change to be done, is Day5 do-able ? I am hiring a cab for the entire trip with a travel agency ? Suggest me the Day 5 plan is do-able, if I start the day at 8 AM ? Very Nice & detailed info about Trip plan, really helpful for fellow travellers. Question : 1) If all these places can be covered in 6-8 hrs (12pm to 6/8pm) which are places are nearby to each other / walking distance from mall road ? 2) Good Budget hotel for 3 ppl in the range of 1200 – 2000 max if u can suggest on mall road or even in distance of max 1 ~ 1.5 km of mall road – OR old manali (in that conveyance to/from old manali to mall road would be easily available at early mor / late night ? Question : 1) If I am not really doing adventures like skiing and likewise – is it really worhwhile going ON TOP of Rohtang Pass? I suppose for this, your vehicle should obtain NGT permission etc. 2) Do Snow Point and Solang Valley are the same places? Do I get to see & play in snow even at Solang Valley around 10th April ? 3) If you could let me know about different adventure sports at Solang Valley with rough estimate of cost? 5) What will be cab/pvt.car for 3 ppl like indica/alto approx. charges for this day3 trip? Day4: This i am keeping as “Rest” day [OR can be clubbed to Day-5 if required] – Here, I would like to cover remaining places of Manali [those which are not covered on day2], hv rest of 2-3 hrs at noon and spend eve. for shopping etc at Mall Road. Planning to hire cab/car for this (Again – what can be approx. cost ?) – As bus travel may not be helpful to connect and cover all this places, besides timing adjustments. Eve. Return to Shimla by evening and spend some time in night at Mall Road / Ridge. According to me, This would make more sense if I can somehow reach Shimla on Day 1 itself at midnight (delhi to shimla 4pm to 1am/2am), spend that half night at Shimla to get rest so next 2 days full can be utilized for shimla and balance 3 days for manali. Request if you could let me know budget hotels in MANALI & SHIMLA (rent less than 2k/day for 3 people for b/fast, dinner, taxes) – however clean, neat at having hot water at mor & night for freshen up….. I dont mind it to be at a distance of 1 to 2 km from main mall road area as long as i am able to approach hotel even at night 10pm. Though, stretched in describing above a bit, Could you please take a while in going thro’ above and reply to my queries ASAP as now I am very short of dates ? As, like you, even I am planning to do this on my own rather than package deals – though going there for first time. Bharat, are you still looking for a reply? It is too much to reply in one comment, can you please split these a bit? Wonderful tips Dheeraj ! Thank you ! We are a family of 4 planning a holiday with another family of 4 to Manali in Mid April from Delhi. Dates 9-14( 5 nights,6 days ) . Planning to hire an Innova and drive first to Shimla . Stay there just that evening and night and proceed to spend most of the time in Manali. Return could be via Chandigarh. Want to do a little hatke type of a holiday. Heritage hotels , non crowded destinations … The kids are aged 6-8-11-12. Would love your inputs. Rest couple of nights you can plan to spend in Manali, going over to snow points and solang valley.